Picture it. Queens 2019. Valentine’s Day. You, your pals and your confidants are sitting in Q.E.D. watching 3 classic Golden Girls episodes. You play bingo. Win Dorothy’s moist cupcakes. You participate in the super secret St. Olaf game. You even wore your best Devereaux sequined shoulder pads in case your very own Mr. Burt Reynolds shows up. 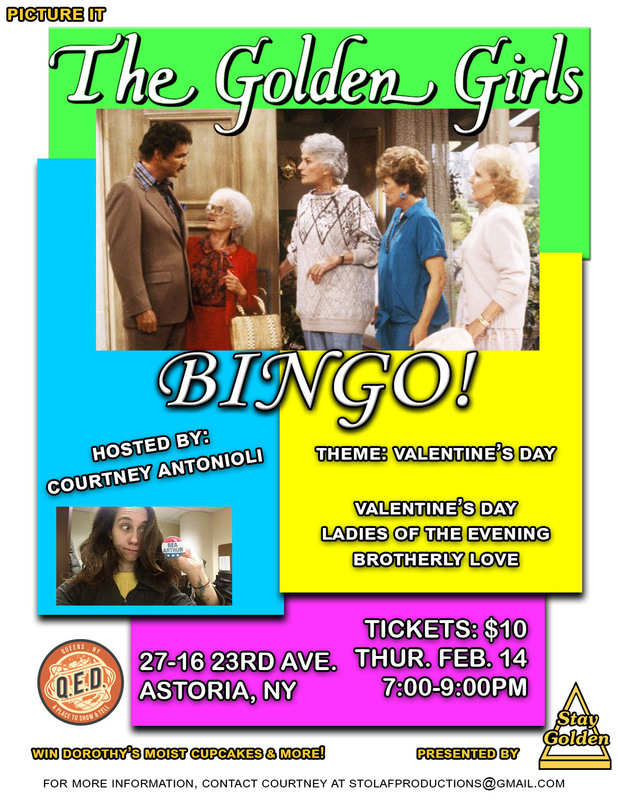 Come join this special Valentine’s Day themed party! Costumes welcomed! Tickets are $10, online and at the door.